MELBOURNE: Australian scientists have discovered a novel way to prevent the spread of the dengue virus, a mosquito-borne deadly disease that currently has no approved vaccine. Researchers at the University of Melbourne along with international collaborators found a new way to block the dengue virus in Aedes aegypti mosquitoes using the insect bacterium, Wolbachia, and have for the first time provided projections of its public health benefit. Dengue is a viral infection spread between humans by Aedes aegypti mosquitoes. 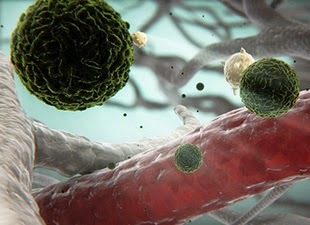 Dengue causes flu-like symptoms, including intense headaches and joint pains. Professor Cameron Simmons, from the Department of Microbiology and Immunology and the Peter Doherty Institute for Infection and Immunity said that the discovery could lead to improved strategies to reduce the incidence of dengue. “We did a ‘real world’ experiment and allowed mosquitoes infected with Wolbachia and uninfected mosquitoes to feed on the blood of Vietnamese dengue patients,” Simmons said. “Our team then measured how efficiently Wolbachia blocked dengue virus infection of the mosquito body and saliva, which in turn stops them from spreading the virus between humans,” Simmons said. Researchers developed a mathematical model of dengue virus transmission and used the experimental results as a basis to predict how well Wolbachia would reduce the intensity of dengue transmission under a variety of scenarios. “We found that Wolbachia could eliminate dengue transmission in locations where the intensity of transmission is low or moderate. In high transmission settings, Wolbachia would also cause a significant reduction in transmission,” said Simmons. “Our findings are important because they provide realistic measures of the ability of Wolbachia to block transmission of the dengue virus and provide precise projections of its impact on dengue infections,” Simmons said. “Our results will enable policy makers in dengue-affected countries to make informed decisions on Wolbachia when allocating scarce resources to dengue control,” Simmons said.